Want to have the most intensive and beautiful experience of your life? Sail through the Antarctic Ocean aboard a luxury cruise ship which will bring you to the most astonishing landscapes you’ve ever seen. 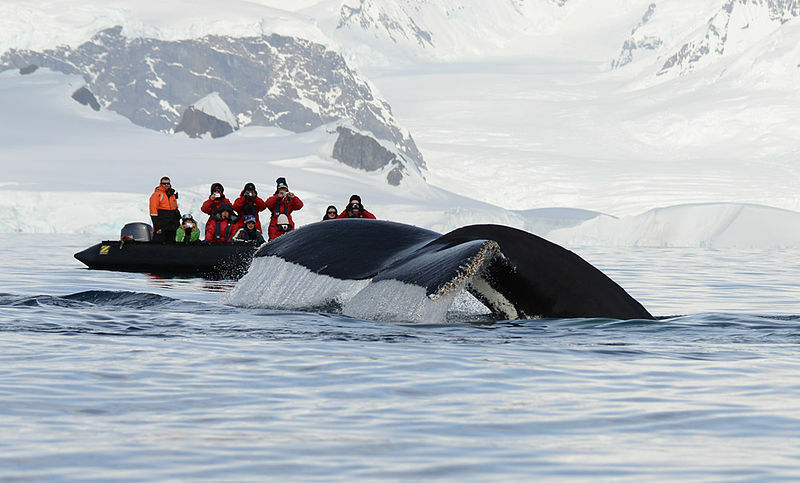 Leaving from the coastal desert glaciers of Patagonia, this luxury cruise will be unforgettable. 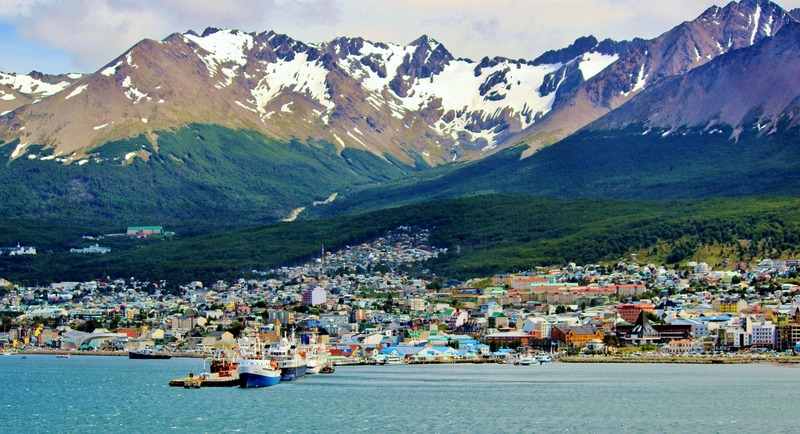 Your long journey starts at Ushuaia, the most southern city in the world, known in fact as the city at the end of the world. Before boarding the boat, let yourself be charmed by this place’s unique atmosphere. Sleep at the Luxury Hotel Los Cauquenes, with a swimming pool and a terrace view over the Beagle Canal, and go for a walk in the legendary Tierra del Fuego! You‘re in for a real change of scenery! Your ship is waiting for you. The Sea Explorer has all the characteristics of an optimal luxury boat which is ready to give you the best comfort on the trip to Antarctica! All the suites are spacious with a living room, private bathrooms and balconies to enjoy the view from your armchair! The Sea Explorer mixes performance and elegance: it includes a slim ice-breaker hull and many luxury comfortable items like a Jacuzzi, panoramic living-room, a sports hall and a Sun Deck! Meet the crew members and be prepared to have the time of your life. The boat departs from Ushuaia and sails into the Beagle Canal first. Discover the boat cemetery and the famous “end of the world beacon”, which was the fantasy of many writers like Jules Verne. 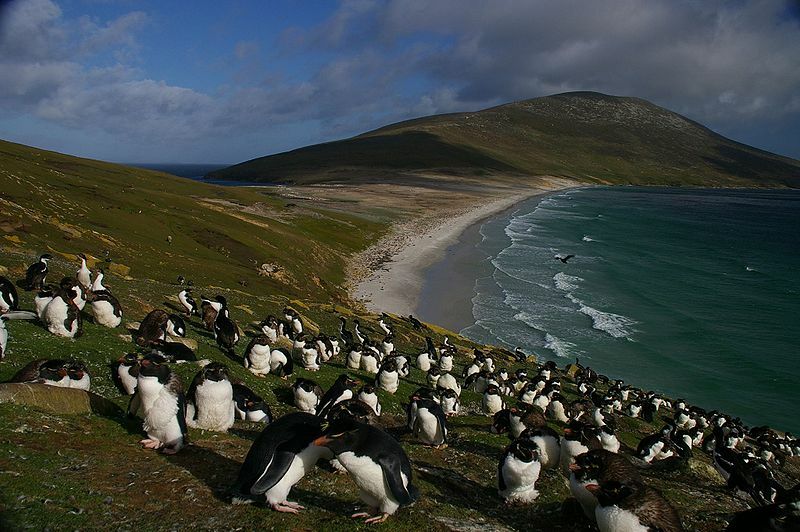 The first step is located at the famous and controversial Falklands Islands. On the Saunders Island, you’ll observe many species of animals like Papuans, rock hopper penguins and black-browed albatross. The boat moors at Stanley Port. Discover the Falkland culture, which is a syncretism of Argentinean and English Victorian traditions. This town is worth a visit for its isolated church and abundant wildlife and vegetation. Then, the boat goes out into the ocean and the Unknown. Once offshore, you will see the first icebergs and the snowy mountains from the Southern Georgia. After 1,300 km, you arrive at Elsehul Bay, where you can see many sea lions and elephant seals! Breathe the air’s purity, savour the white sky, and enjoy the silence of the infinite ocean. Far away, you can observe the ice floe on the Antarctica peninsula, which stretches as far as the eye can see. Through the panoramic window, the view is just astonishing! Order a drink at the boat bar and enjoy your setting. Are you ready for a walk on the Antarctica Peninsula? 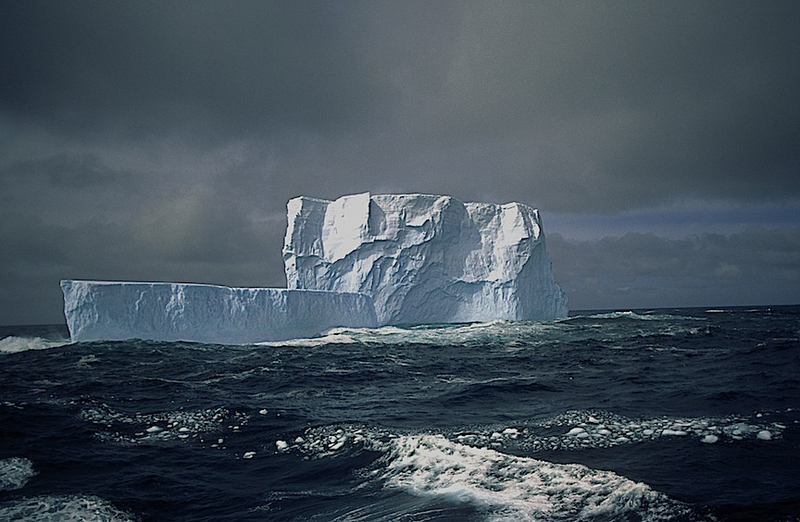 Your journey keeps going: taking the Weddell Sea, the boat heads south. At Brown Bluff, you’ll land on the white continent. This site has an impressive red cliff made of volcanic rock. The expedition continues into the Charlotte Bay, which is a mountainous region with nunataks (mountains with solidified snow). You’ll be welcome by penguins and Dominican seagulls. From the Wilhelmina Bay, you can admire the mountains near the Arctowski. At Deception Island, you’ll enjoy the volcanic activity and thousands of petrels! After three days in the Antarctica, it’s time to go back home. 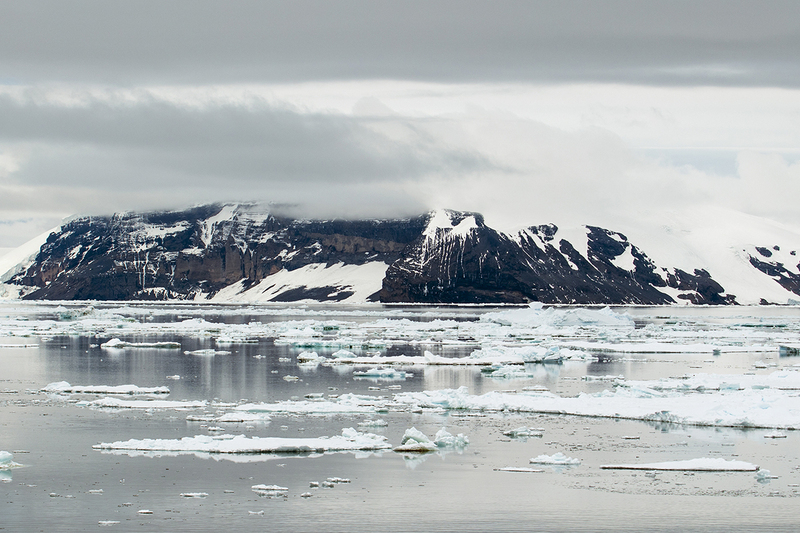 To return, the boat passes along the South Shetland Islands and takes the Drake Passage. This 650 km wide gate is the boundary between the warm waters and the polar waters. The crew members help you to distinguish the many species of birds and mammals that take advantage from this change of temperature: from albatrosses to whales, you won’t be disappointed! Then, after your last night on board, you make landfall at Ushuaia to end your trip. After a 19 day cruise, you’ll be able to keep many souvenirs and unforgettable images from this unique trip to the edge of our world.